We specialize in helping Athletes maximize their potential. Our Sports Training Programs are designed to enhance athletic performance specific to the INDIVIDUAL ATHLETE'S SPORT, POSITION AND SKILL-SET. Learn how to unlock your athletic potential and discover the fundamentals of athleticism. Start by building your body from the ground up focusing on weaknesses. Improve your overall strength, speed, power, endurance, flexibility, mobility, agility, mental preparedness, recovery and regeneration techniques, nutrition, and injury risk reduction. Athletes of all Levels. Youth and Adults. All Sports! You don't have to be an elite athlete to train like one. Functionality gains as well as health and cosmetic improvements are benefits of an athletic-style training program. Working one-on-one with an expert personal trainer through a custom designed program will help you reach your fitness goals! Coming back from injury? Do you have reoccurring sports injuries like sprained ankles or lower back pain? Our programs aim to prevent acute and chronic injuries and conditions resulting from high-impact occupations and sports activities. Heal your injuries and come back stronger with workouts designed to prevent future injury. The TRX Suspension Trainer is a versatile performance training tool that is an important element in a sports conditioning program. Suspension training positions your body so it works harder against the forces of gravity. It allows for maximum recruitment of muscle fibers and helps with overall strength, joint integrity, and core conditioning to build muscular balance. THE STRUCTURE OF THE ATHLETIC DEVELOPMENT PROGRAM. INCREASES IN DIFFICULTLY AS YOUR BODY ADJUSTS AND IMPROVES. You go through each phase in every workout, as they serve a purpose in helping you reach your potential. Performing some exercises with only one arm or leg and challenging your body in a diverse environment going beyond traditional workouts to achieve more applicable ability and functionality in the arena of sports. Oviedo High School State Champion Pitcher, Nicholas Logan, trained with us during the offseason in preparation for his senior year. His goals were to increase his throwing velocity and improve his overall durability. 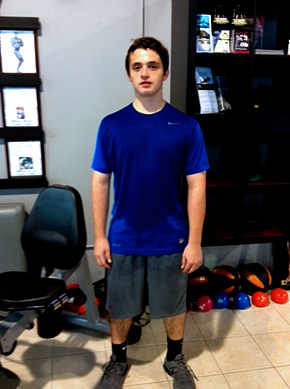 Nicholas put in the hard work and stayed committed to a personalized sports specific training program reaching his peak form going into the season. After having a career year, putting up record stats, winning a state championship and attracting collegiate attention he credits his conditioning program as a major factor leading to a successful, injury-free season! Congrats Nick! 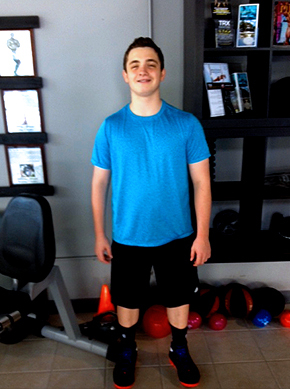 We operate primarily out of The INFLICTING FITNESS TRAINING CENTER. A Top-Rated Private Training Facility that is located inside the Winter Springs Towncenter. Sometimes training requires outdoor space or indoor basketball courts. We have partnerships with the Oviedo Recreation Center and Central Winds Park for access to alternative training environments. NEXT SEASON STARTS TODAY. TRAIN SMARTER THAN YOUR COMPETITION. FOLLOW US ON INSTAGRAM // CHECK OUT OUR ATHLETES HARD AT WORK!